Universal Media Group Inc. (UMGP:OTC) Signs Program Distribution Agreement With Luken Communications LLC. Universal Media Group Inc. (UMGP:OTC) is pleased to announce that it has signed a program distribution agreement with Luken Communications for the distribution of one hundred episodes of “On the Mike” television shows. Mike Sherman, President of Universal Media Group, is honored to be part of the Luken family of broadcasting and states, “this will give our company major eyeballs and extensive exposure on our program nationwide with the opportunity to capitalize on more advertisers for the company. 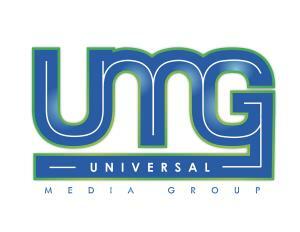 This is just the beginning of great things to come between Universal Media Group Inc. and Luken Communications. LLC..
Universal Media Group Inc. (UMGP:OTC) www.umediagroupinc.com is a world-renowned media company that focuses on the implementation of celebrity based programming, social media and interactive television. UMGP focuses on cutting edge technology through music, sports and entertainment for engagement with the millennial generation. Luken Communications is a national multicast television network provider offering affiliates and viewers a diverse range of programming choices. Retro Television Network was one of the first digital broadcast networks launched. Today, Luken Communications has six networks, with a combined reach of 80% of the country, each targeting a unique segment of consumers. About Universal Media Group Inc. Statements made in this press release that express the Company or management’s intentions, plans, beliefs, expectations or predictions of future events, are forward-looking statements. The words “believe,” “expect,” “intend,” “estimate,” “anticipate,” “will” and similar expressions are intended to further identify such forward-looking statements, although not all forward-looking statements contain these identifying words. Those statements are based on many assumptions and are subject to many known and unknown risks, uncertainties and other factors that could cause the Company’s actual activities, results or performance to differ materially from those anticipated or projected in such forward-looking statements. The Company cannot guarantee future financial results; levels of activity, performance or achievements and investors should not place undue reliance on the Company’s forward-looking statements. No information contained in this press release should be construed as any indication whatsoever of the Company’s future financial performance, future revenues or its future stock price. The forward-looking statements contained herein represent the judgment of the Company as of the date of this press release, and the Company expressly disclaims any intent, obligation or undertaking to update or revise such forward-looking statements to reflect any change in the Company’s expectations with regard thereto or any change in events, conditions or circumstances on which any such statements are based. No information in this press release should be construed as any indication whatsoever of the Company’s future revenues or results of operations.